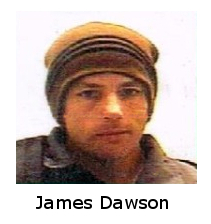 If civilization collapses – no internet, no electricity – James Dawson will keep on zining. He would return to his old DIY production devices: manual typewriters, mimeograph machines. All non-electric, human powered. He could rebuild the zine scene. Even without civilization collapsing James prefers old tech. In his early zining days he used a mimeograph machine to publish. Mimeographic printing involves making impressions on a stencil via typing and drawing to create a master copy. The stencil is placed on a rotating drum and paper is fed through the unit by a hand crank, ink transferring the master copy impressions to each sheet. Before photocopiers and computers arrived on the scene many fanzines were printed with mimeograph machines and similar devices. Such manual production isn’t easy but James has always been an individualist, a fact reflected in what he writes about. James: “I'm a private person so even though I share a little personal information here and there, I don't consider my zines as perzines (personal zines). Recently James has been forced to rely more on modern technology. But there’s always old tech in reserve. “I always have a back-burner intention of trying to getting my old mimeographs and ditto machines working, but the likelihood gets more and more remote as ink cartridges and fluid get scarcer and scarcer. He tried somewhat more recent old tech, a Dell PC circa 2000 CE but that proved to be too problematic. So he tried another used computer but was frustrated once again by overly technical problems. He tries to keep zine production as efficient and easy as possible. He has been using old tech mixed in with some easy tech. He says 98% of his printing is done at a copy shop. The other 2%? Ideally James would publish only using human powered machines. 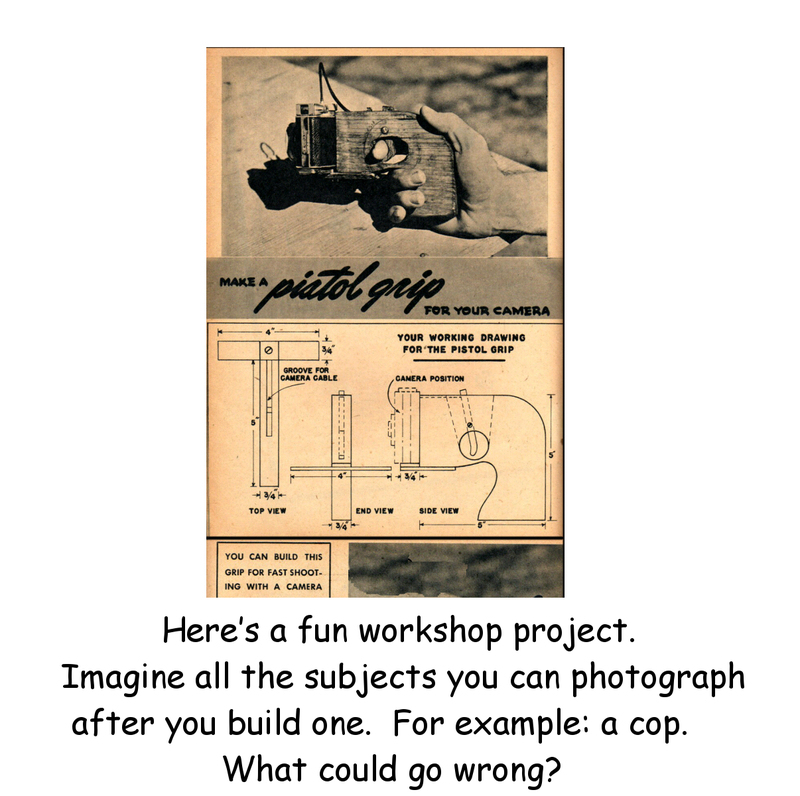 And in the event that modern civilization with its complex technical structure should fall apart he can dust off that $40 hand-cranker mimeograph in his garage. 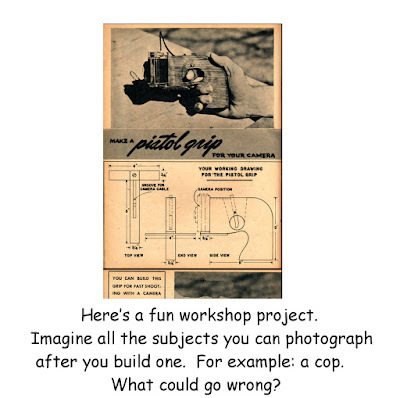 His zines are available for dollars/stamps/trades/the usual. 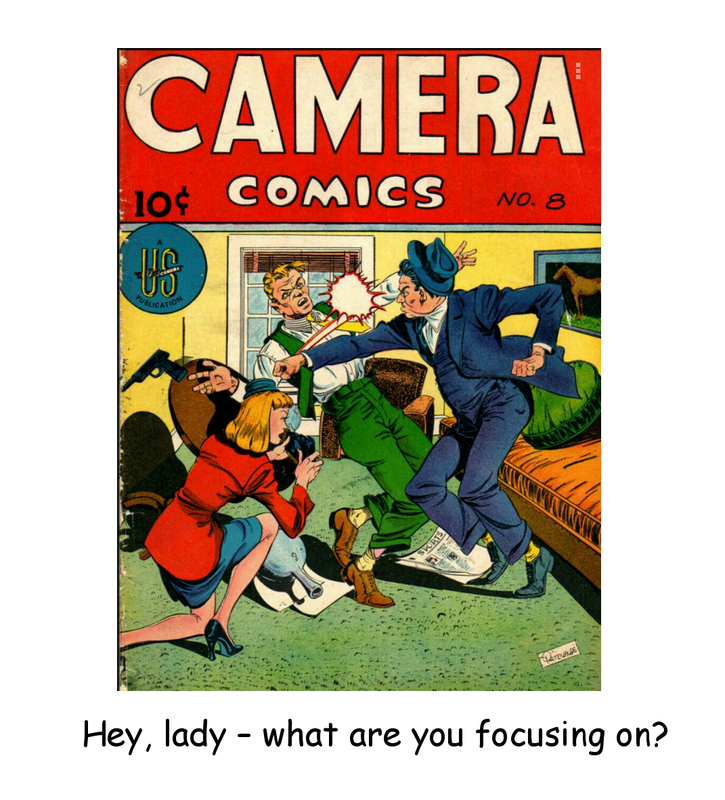 Join in the adventures with your favorite shutterbug heroes in Camera Comics! Of course their stories are the usual low grade crime comic stuff but redeeming social value has been added with articles on famous photographers and how-to tips for the amateur photog.